The Carroll College Public Health program is designed for students interested in careers in community or public health. As part of their studies, students in the Public Health program learn the fundamentals of community health assessment, program management, health intervention evaluation, grant writing, coalition building, and community organizing, as well as the foundations of public health and epidemiology. 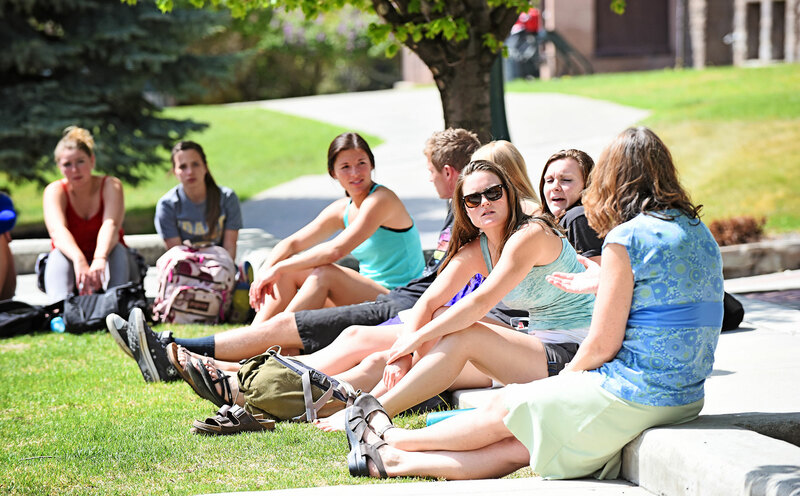 During their time at Carroll College, Public Health students will gain the specialized knowledge, skills, and global perspective they need to pursue their chosen health profession as well as practical experience that will supplement their academic work and facilitate their entry into their chosen health career. The Public Health program offers courses delivered by a variety of academic departments, including natural sciences, mathematics, social sciences, and philosophy. Students also have the chance to take part in significant, cutting-edge research into relevant health-related issues affecting our community. Recently two students completed projects that investigated an arsenic contaminated watershed, while another researched the effects of indoor tanning on the risk of developing skin cancer. Foundational Knowledge of Public Health and Health Sciences: Students will gain foundational knowledge for proficiency in basic Majors and Minors—Public Health 233 epidemiologic principles, including diseases and disorders, surveillance techniques, statistical applications, and data presentation. Communication Skills: Students will demonstrate effective oral and written communication skills both individually and in groups. Healthcare Delivery Systems: Students will be able to identify how various healthcare systems affect the services they provide and quality of care delivered. Employability Skills: Students will demonstrate key employability skills including development of resumes, personal statements, and interview skills. Legal and Ethical Responsibilities: Students will understand accepted ethical practices with respect to regulations, policies, laws and legislative rights of citizens. Graduates of the Public Health program are prepared for careers in a field that’s projected to undergo significant growth, with the Bureau of Labor Statistics projecting that nearly a third of all new wage and salary jobs (5.0 million) between 2012-2022 will be in the health care and social assistance sectors. The BLS also finds that fourteen of the thirty occupations with the largest percentage increases in employment between 2012-2022 are related to healthcare. Foundational Knowledge of Public Health and Health Sciences: Students will gain foundational knowledge for proficiency in basic epidemiologic principles, including diseases and disorders, surveillance techniques, statistical applications, and data presentation. Legal and Ethical Responsibilities: Students will understand accepted ethical practices with respect to regulations, polices, laws and legislative rights of citizens. To provide students with the specialized knowledge, skills, and global perspective they need to pursue their chosen health profession. To offer students practical experience that will supplement their academic work and facilitate their entry into a chosen health career. To foster evidence-based perspectives of local, national, and global health challenges and solutions.